Will Super Bowl Ads Deliver Super Investing Ideas? Tune In! It's getting close to kickoff time for Super Bowl XLVII, and to many viewers, the best part of the Big Game isn't the kicking, throwing, and carrying (and fumbling) of the pigskin. It's the commercials. Yes, investors should be watching the biggest sporting event in the America-centric world for the ads. It's about more than brand building: Companies often use the Super Bowl to tout new, innovative products and ideas -- and even the company's own stock -- that you may want to know about. 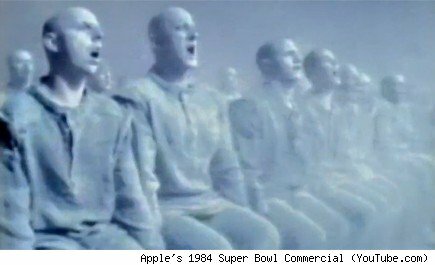 In 1984, Apple (AAPL) ran the iconic ad that introduced the world to Macintosh. It ran just once, during the Super Bowl. But it shook the world, and for those who were paying attention, it just might have given them the inspiration to buy shares of a company that would ultimately generate a 150-times profit (that's not 150 percent, but 15,000 percent) for those who recognized Apple's potential. If you were one of those visionary Super Bowl viewers back then and had invested, say, $2,000 in Apple stock immediately after the hammer fell -- then held on to that stock for the next 30 years, through the ups and downs -- you'd be sitting on a cool $300,000 today. But not all Super Bowl ads are harbingers of stock market success. Last year at this time, we looked into the numbers from Super Bowls of years past. Turns out, some firms do profit from their ads and the recognition those ads produce. But poorly run companies are just as likely to flounder after an ad campaign as before it. Best Buy (BBY) and E*TRADE (ETFC), for example, spent beaucoup bucks on the Big Game, yet have little to show for it today. So what kinds of ads will Sunday's game bring us? Will we find a new Apple, or just another Best Buy that really isn't much of a "best buy" at all? So far, we know that Coca-Cola (KO), PepsiCo (PEP), and E*TRADE will make their usual appearances. Audi's said to be rolling out a new commercial as well. Likewise, Volkswagen (VLKAY), Kia, Unilever (UL), and Colgate-Palmolive (CL) will make appearances. Suffice it to say, none of these already-big brands is likely to experience serious enough expansion wave to generate a 150-times return on an investment in their shares in the foreseeable future. But who knows? In a game consisting of just one hour's regulation play, advertisers will do their darnedest to stretch out the Super Bowl broadcast to three-and-a-half, four, maybe even four-and-a-half hours (with multiple overtimes, fingers crossed). That's an awful lot of time for advertising, and maybe, if we're truly lucky, enough room for Madison Avenue to deliver us one new idea -- and perhaps a company stock to go with it -- that's truly worth watching long after the game has ended. Motley Fool contributor Rich Smith owns shares of Apple. The Motley Fool recommends Apple, Coca-Cola, PepsiCo, and Unilever. The Motley Fool owns shares of Apple and PepsiCo.